One of the best scents you will ever smell, very masculine and very rich smelling, you will make a statement when ever you wear this scent. Just love it!! It's the ultimate formal scent! 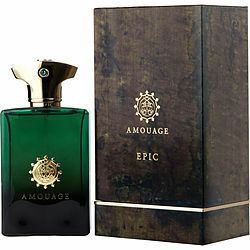 Amouage epic man is a mans fragrance it's a bold perfume, it's a statement saying I am the man it's so luxurious and rich smelling like money. I love it. It is my fav. Fragrance with Reflection man. It's a formal / black tie kind of fragrance, you will leave your mark when ever you wear this!